It is wise to remember, however, that though Roman civilization once included the entire Italian peninsula—indeed, much of Europe—leaving spectacular remains in the most far-flung and unlikely corners of Italy, from tiny towns in central Italy (Gubbio’s Roman amphitheater comes to mind), to the bustling northern cities (Verona’s Roman sites are a pleasant surprise for many visitors), and southern sea ports (Gnatia in Puglia is the Pompeii of the Adriatic), Rome itself was heir to a vast and complex Mediterranean civilization: Classical Greece. Tweetable: Archaeology in Italy isn’t all Rome and the Romans! Sicily and the Greeks are just as fascinating. Magna Grecia, or the Greek empire, was as equally sprawling as that of the Romans, but extended mostly south and east of Greece, covering much of the Middle East, Persia, and Egypt. It did, however, lick at the shores of the Italian peninsula, leaving colonies—some of which developed into powerful and wealthy cities—in parts of Southern Italy and, most stunningly, Sicily. The Greek civilization in Sicily dates as far back as 8 centuries before Christ, and its decline in the final few centuries BC coincided with the rise of Roman power. Luckily for modern visitors, there are a number of spectacular archaeological sites dating from the Greek colonization of Sicily which can still be visited on the island today. 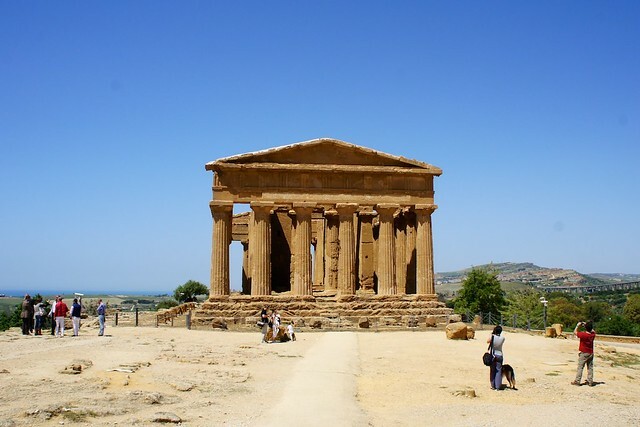 In the hills surrounding the city of Agrigento, the remains of the ancient Greek city of Akragas, founded in the 6th century BC, dot the landscape, including the vast sacred valley where some of the best-preserved and most breathtaking temples in the world are still standing. The most intact are the Temple of Concord (converted to a Catholic basilica in the first century AD) and the Temple of Juno, both dating from the 5th century BC; of the massive Temple of Olympian Zeus all that remains is one of the massive telamons, or figures sculpted in stone which once served as a pillar holding up the temple roof. 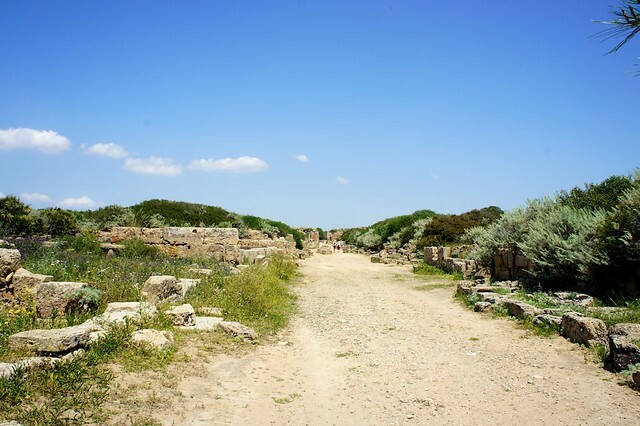 This sprawling archaeological park is a UNESCO World Heritage Site and also includes a small museum, where statuary, mosaics, art, and other finds from the site are displayed. Sicily’s stunning sacred ruins aren’t confined to the Valley of the Temples. 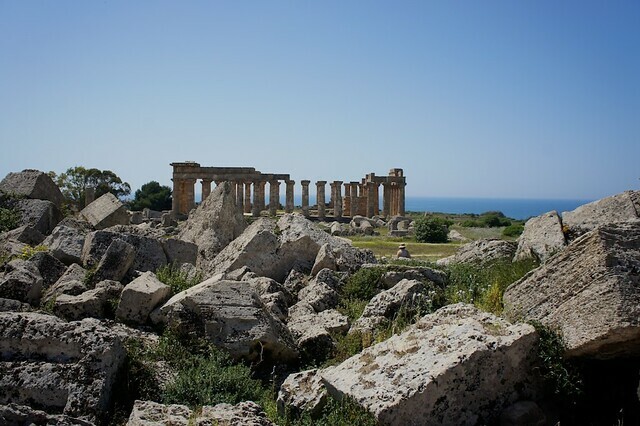 Western Sicily is home to two archaeological parks, Segesta and Selinunte. The main temple in Segesta, dating from the 5th century BC, is one of the best-preserved examples of Doric architecture in the world, rivaling those of Greece, itself. 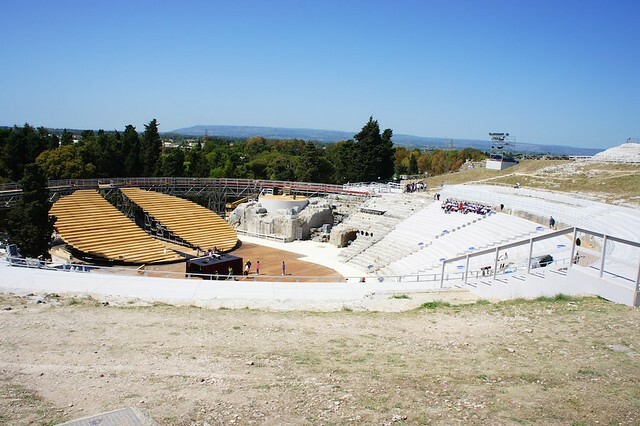 The park also includes a 4th century BC Greek theater, fantastically well-preserved and a close cousin of those in Syracuse and Taormina. Though Selinunte’s temples are decidedly more time-worn—a result of sackings by the Carthaginians, Roman conquest, and Medieval earthquakes—they are no less stunning. The uses for these sacred buildings from the 6th century BC have been lost over the millenia, and only their towering columns, resting on the original pavement and topped by bits of architrave, remain, but perhaps for this very reason Selinunte is one of the more evocative ancient sites in Sicily. 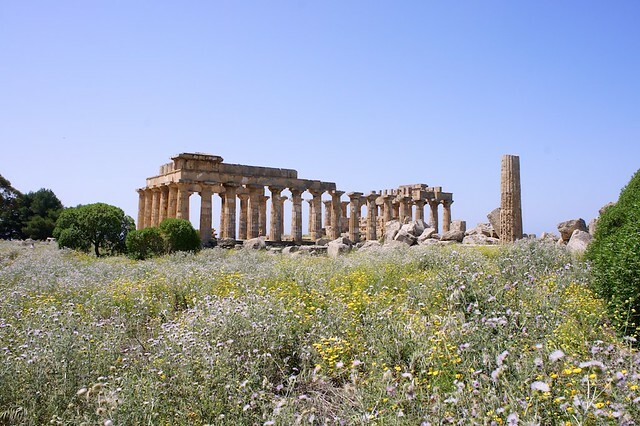 Tweetable: Some of the world’s most beautiful and intact ancient Greek temples are in Sicily! From the sacred to the profane, the seaside city of Taormina is known for both its beauty and its lovely Greek theater, built to overlook both the blue waves of the Mediterranean and the chuffing volcanic Mount Etna. The original structure dates from the 3rd century BC, though it was renovated by the Romans (note the use of brick) based on the original Greek Corinthian plan some 500 years later. Unique for its size (it is second only to the theater in Syracuse, below) and preservation (the stage’s original rear wall and wings are miraculously still intact), the theater is still used as a venue for concerts and events, and its impeccable acoustics remain untouched by time. For one stop archaeology, the city of Syracuse on Sicily’s east coast has a bit of everything. Home to both the island’s largest Greek theater (dating from the 5th century BC and lovely despite being partially dismantled in the Middle Ages), and the island’s oldest Doric temple, Piazza Pancali’s Temple of Apollo (which went from pagan temple to Byzantine church to Islamic Mosque back to Catholic church before its abandonment), this city’s ruins cover all aspects of Classical Greek civilization. History buffs should also take a look at the remains of the the massive 200 meter by 23 meter Altar of Hieron II--the largest in all of ancient Greece--built in the 3rd century BC by Hieron II to commemorate the fall of the tyrant Thrasyboulos, and the city’s excellent archaeological museum. Tweetable: Taormina’s Greek theater retains its excellent acoustics almost three thousand years after being built.